I absolutely loved delving deep into the mid to late ’70s East London and using the many appropriate pop culture clues to immerse my imagination into the world of the Butlers. I enjoyed the drama and the truthiness of this family saga and felt more than a little bit bereft when I got to the end of this novel. Alongside relentless Vinny is his youngest brother Michael, who has the conscience his older brother lacks, but doesn’t quite have the courage to stand up to him. Both brothers revere their mother the family matriarch, but only Michael has time for their estranged father Albie. Although this story starts with murder, crime and family drama it eventually evolves into a chilling whodunit regarding a child abduction, which culminated the the most appropriately dramatic way to end this book in the series about the Butlers. 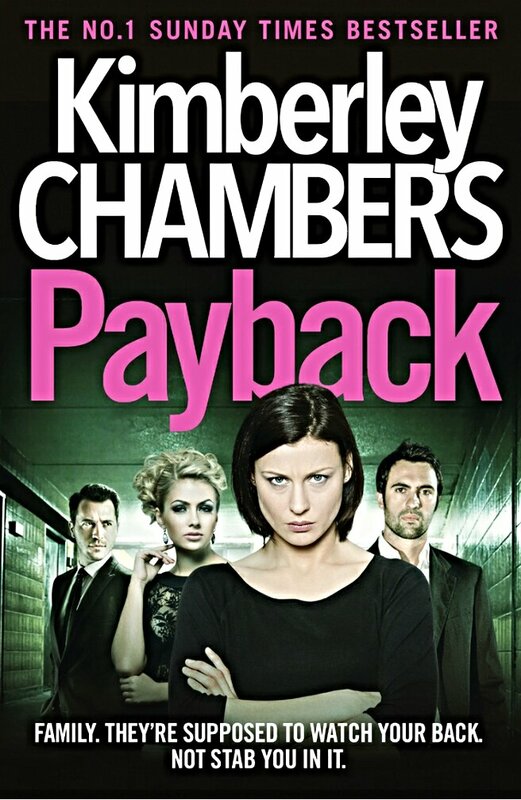 I had not read any of the other books in the series and found it no hindrance to enjoying Payback, which in my opinion is a must-read. This is my first book from this author, and yes totally agree there is a thread of humour through the novel too. Wow! It sounds nothing like my usual go-to books but I’m loving this review! I might actually give this book a go 🙂 Thanks for the review! Thank you, I hope you enjoy it at least as much as I did.